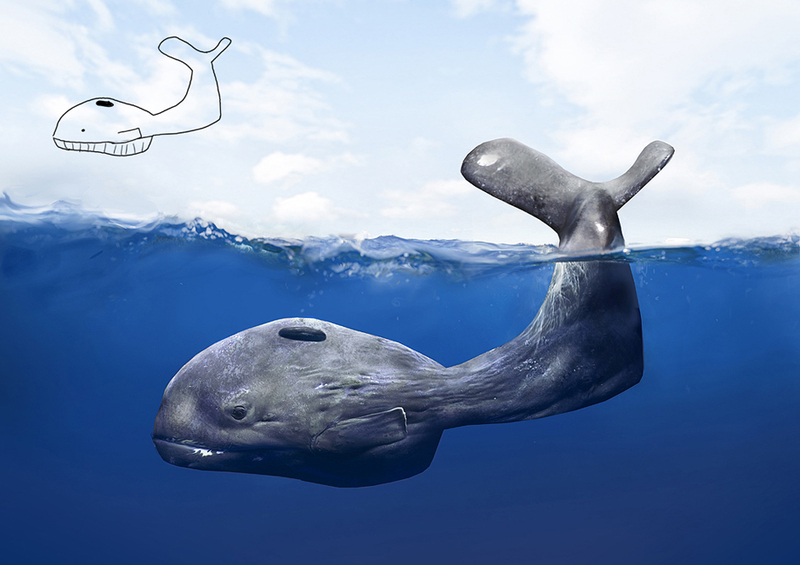 There are two things that I love about digital artist Telmo Pieper recreating drawings from childhood. One is that the images are beautiful and fantastically odd in the uninhibited way children capture so well. The second is that Pieper’s childhood drawings look like any other kid’s drawings (or my drawings as an adult). Pieper demonstrates that being the young, technical prodigy beloved by your second grade art teacher is not a necessary prerequisite for growing up to be a talented, professional artist. *Hat tip to Ellen Byrne. This entry was posted in Items of Interest and tagged Art, Linkonomicon, Telmo Pieper, whale. Bookmark the permalink.